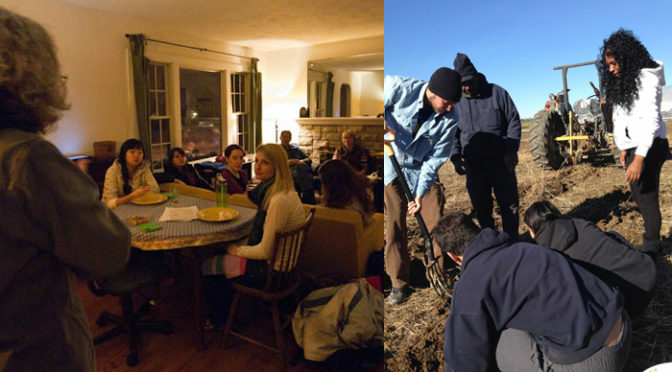 Shouldn’t Service Learning be About Civic Engagement? 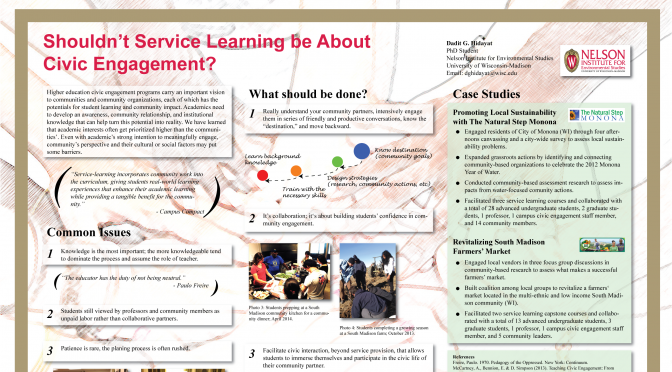 Shared a poster in the Community Development Society annual meeting and conference in Dubuque July 20-23, 2014. 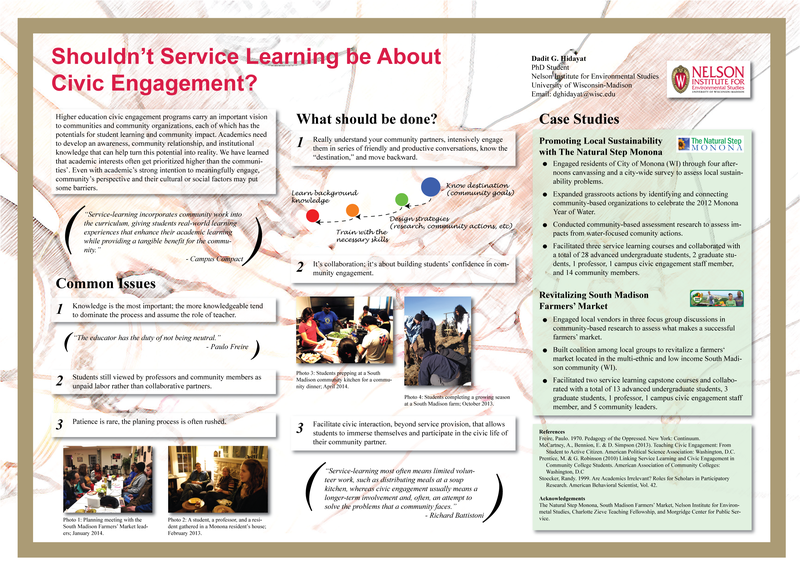 My poster is basically a reflection on the last five service learning courses I co-instructed in the past four academic years. 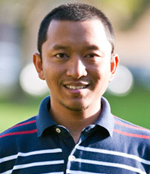 Please read my posts on my past service learning courses for more information about them. I would like to thank Kelcie Kempenich on her candid observation on the Nelson Institute‘s capstone service learning program. Her journalistic project Connecting Through Capstones helps communicate the values that we are trying to embrace from our community-university partnership.